Want to add special effects to your video? 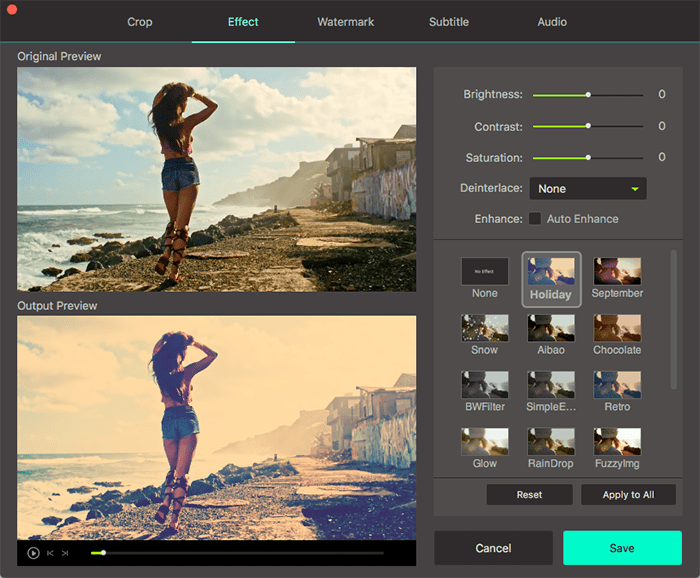 Want to change volume, brightness, contrast and saturation of your video? 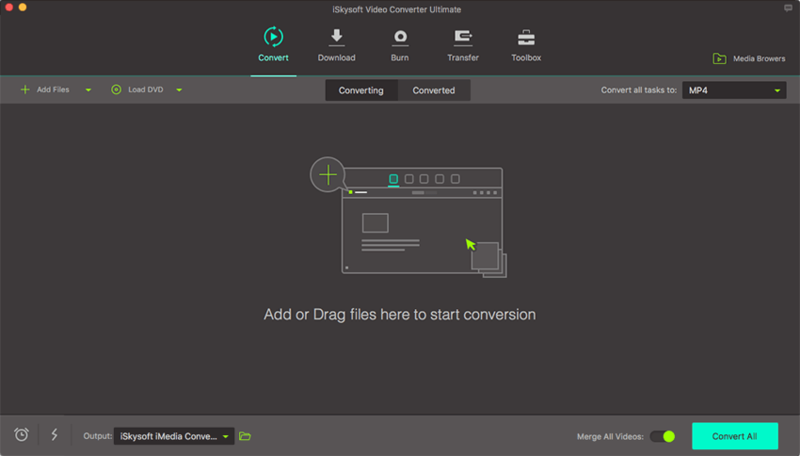 Just try this iSkysoft Video Converter Ultimate, you will achieve all goals with ease. To begin with, please run the video converter for Mac and directly drag and drop your video to this program or select files from your Mac, mobile devices or camcorder by clicking "Add Files". Go to the “Effect” tab to adjust Volume, Brightness, Contrast and Saturation, and choose from 18 preset effects to personalize your video. Simply drag and drop the slider or click an effect to apply. If you don't want to be bothered by the editing process, the Auto Enhance would be your best choice to one click enhance your video effects. Now you can select an output format from the format tray. 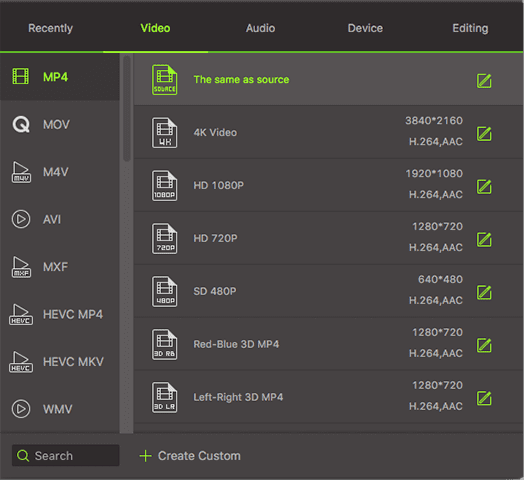 After that, set the output path and click the “Convert” or "Convert All" button to save your video.